Thailand. Angkor Style, Lopburi period (11th to 15th C). Dancing figureswere commonlyused throughout thecarved stone statuesof the Khmer culturethat created Angkor Watin modern Cambodia. Thesestatues are reproduced in thestyle of a particular bronze statue datingfrom the Bayon period (twelfth to thirteenthcentury). In the original statue a group of thesemystical female dancers caper at the feet ofHevaraja, an esoteric deity with 16 arms. 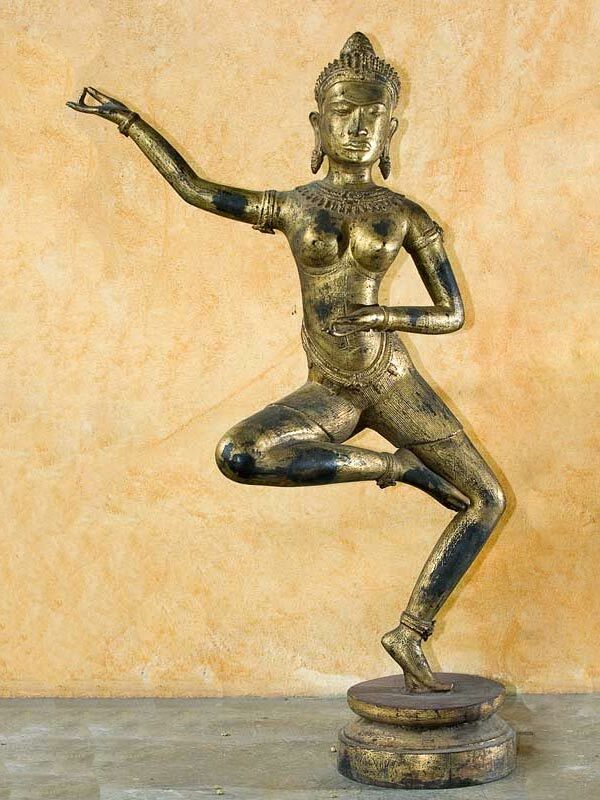 Theyogini, or dakini, figures were mythic sorceressesassociated with passion, fertility, and othersupernatural powers. These statues are someof our most compelling images from SoutheastAsia, and one of the most difficult to obtain. 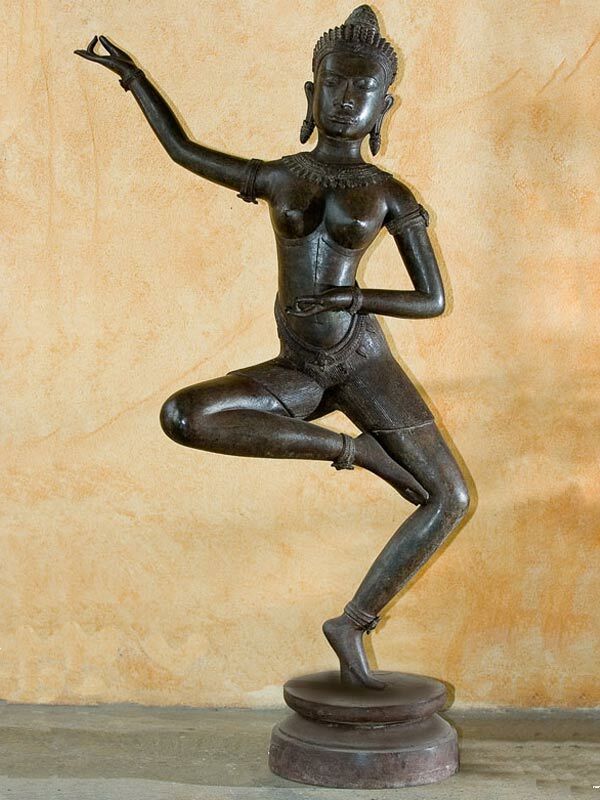 Thepose of the dancers are reminiscent ofthe dance that creates the worldand stamps out ignoranceby Nataraja. Size : H: 46" W: 22" L: 12"